Dynamic growth in construction industry including both commercial & residential sector of North America is the prime factor for boosting the concrete floor coatings market in near future. The product is mainly in infrastructure sector due its exceptional properties to resist wear and tear of the floorings. The U.S. government has increased the budget allocation to the infrastructural development by 1.9% and it reaches USD 46.7 billion in 2015. 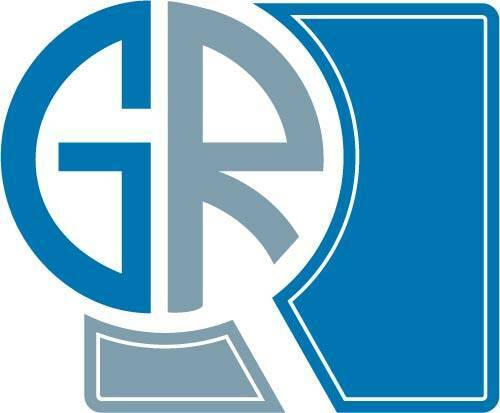 Furthermore, the residential sector of the U.S. is expected to see a growth rate of around 5% in year 2019, as a result of recovery from the great recession. With the country’s population projected to reach 338 billion by 2020 the growth in residential buildings is expected to rise. This in turn will propel the product market growth in the forecast spell. On the basis of product, epoxy concrete floor coatings hold the largest share and accounts almost about 50% of the total market size in 2017. The epoxy-based products are used in residential and public infrastructures such as railway stations, airports, parking lots, etc. On the basis of application outdoor applications witness the growth rate of about 6.5% in the forecast time period. The product helps to increase the strength and durability of the floorings, such properties makes it suitable to be used in pathways, driveways, walkways and garages. Increasing infrastructural spending by the government for public welfare and comfort will act as a driver for product market demand in the coming years. 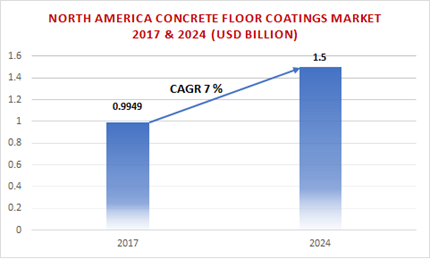 The key major players of the concrete floor coatings market are Vexcon Chemicals, Corner Stone Coatings, Advacoat Concrete Floor Coatings, North American Coating Solutions, Elite Crete Systems, CPC Floor Coatings, Tennant Coatings, BASF, Plexi-Chemie Inc, ITW Polymers Sealants North America, Axalta, Gaco Western Inc., Euclid Chemical, Akzo Nobel. Bostik Inc., Surface Technology Inc., International Coatings Inc.